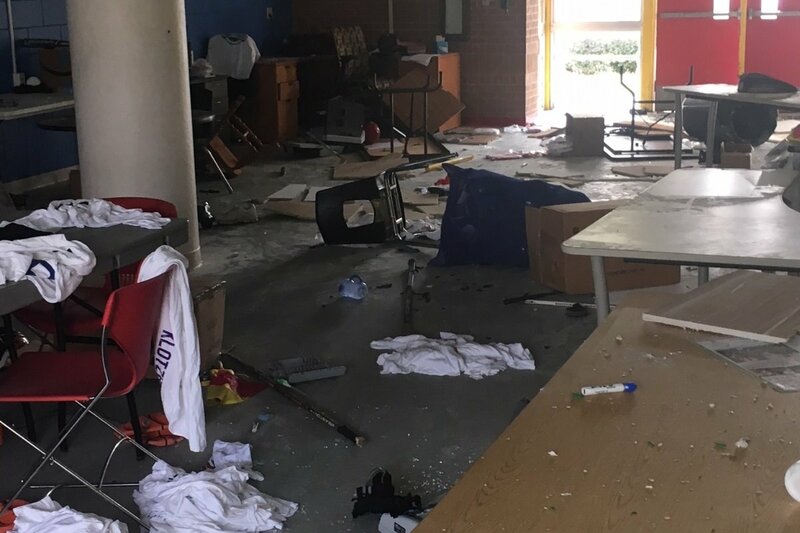 On Monday November 26th, I found out that our Sports 4 The Kids office had been broken into and vandalized over the weekend. The office has been completely destroyed, every window was shattered, computers broken and left an absolute mess. It’s really sad to think that someone could be so cruel and destructive and destroy something that we have worked so hard to build to give Kids a chance to play sports. I pray for the people that did this and that they find the help that they need. It will take us a while to access the damage and determine the total items that were stolen or destroyed. However, we will move forward and continue in fulfilling our mission and serving our community. There are kids out there that need our help and we are not going to let this stop us or slow us down. Since this is the second time this has happened, we will be looking for a new place to call home. If anyone has any office space that they would be willing to donate to us please let me know. Ideally we need approximately 1,200-1,500 square feet of air conditioned space. Consider supporting Sports 4 The Kids this holiday season. No donation is too small. We will use the funds to help with our clean up, move, and relocation efforts as well as continuing to fulfill our mission of providing kids with a chance to play sports. Thank you to everyone who have reached out and have provided your support during this difficult time. Sports 4 The Kids, Inc.